There have been violent scenes in the historic streets of Florence. 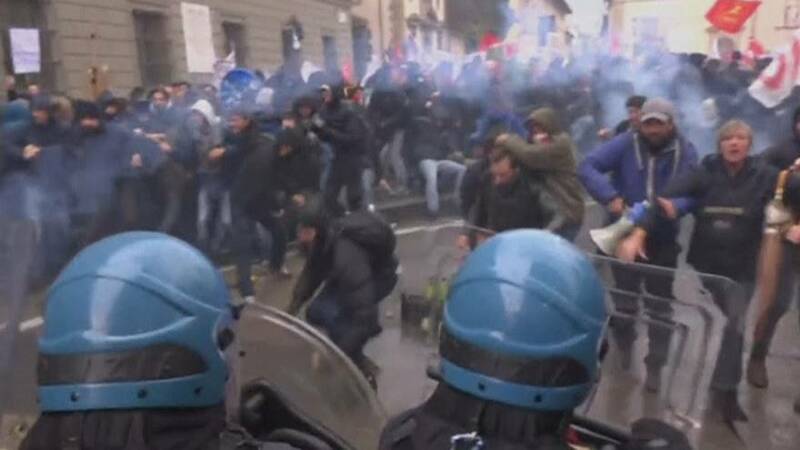 Demonstrators clashed with riot police in the Italian city on Saturday. One officer was reportedly left with an injured leg in the clashes. Police used shields to block young men who were charging them in an attempt to reach a building where Prime Minister Matteo Renzi was at a political meeting. They were from a larger group of anti-government protesters whose march was timed to coincide with Renzi’s visit. The demonstration aimed to show opposition to a constitutional referendum that Renzi has called for December the 4th. He says the changes are much-needed reforms. But opponents fear they will lead to an excessive centralisation of power.